Diablo 3, A.K.A the game that everyone has been waiting for since the birth of time, has finally arrived this week and what better way to celeberate D-Week then by unboxing the ‘beastly’ collectors edition. 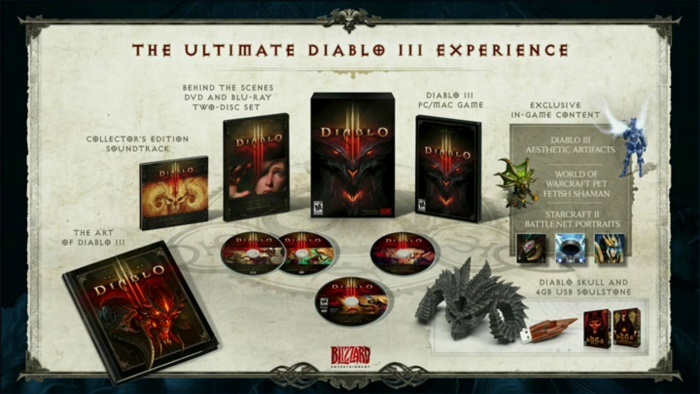 GameOverviews are happy to inform you that we have moved our asses from playing Diablo III to shoot you this unboxing. 2 Comments on "Diablo 3 Collectors Edition Unboxing"
Very well done guys. Loved the touches of humor and very enthusiastic host.